Siu Wong manifests all the attributes and temperaments desirable in a top producing realtor. As a resident of Warren since 1985, Siu has raised 7 children through the Watchung Hills School district, prior to starting her real estate career in 1998. Siu is fluent in English, Mandarin, Cantonese, and Tagalog (Filipino) and takes great satisfaction in helping her clients get established in a new town, state, or country. Since her inception as a realtor, Siu has closed over $360 million in sales from close to 850 transactions throughout Central and Northern New Jersey. Siu has been named as one of America's Best Real Estate Agents (realtrends.com), inducted into the RE/MAX Hall of Fame, and has received the RE/MAX Lifetime Achievement award. Siu has consistently been rank top 1% real estate agent in the state and nationally. Siu has also earned recognition from the New Jersey Association of Realtors over the course of her career obtaining either Gold or Platinum (highest) awards since 2003, thus making her a Distinguished Sales Club Member. She is also co-owner of the RE/MAX Premier office in Warren, and enjoys mentoring new realtors in the many dynamics involved with real estate. 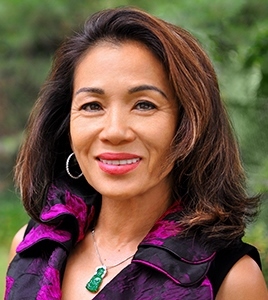 Siu is truly passionate about making her clients’ dreams come true, while helping to maximize the potential of one of their biggest financial investments, their home. When she is not helping others achieve their dream home, she enjoys spoiling her grandchildren, traveling, and cooking with her large extended family.